teenagers and even adults,as our ball can hold up to 200lbs. It's a great way to have fun with your family and to burn some calories at home or at the Fitness Centre. It's safe to use Indoors or Outdoors. 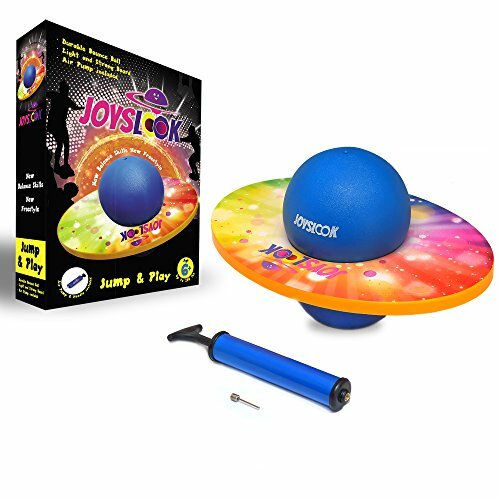 JoysLook consist of the bouncy ball and it's fixed on the light and strong plastic board. It's included also air pump and a needle. jumping makes muscles work,which will burn a lot of calories and help to reduce extra weight. Get your Joyslook Pogo ball Now and keep you family members active and positive. If you have any questions about this product by Joyslook, contact us by completing and submitting the form below. If you are looking for a specif part number, please include it with your message.